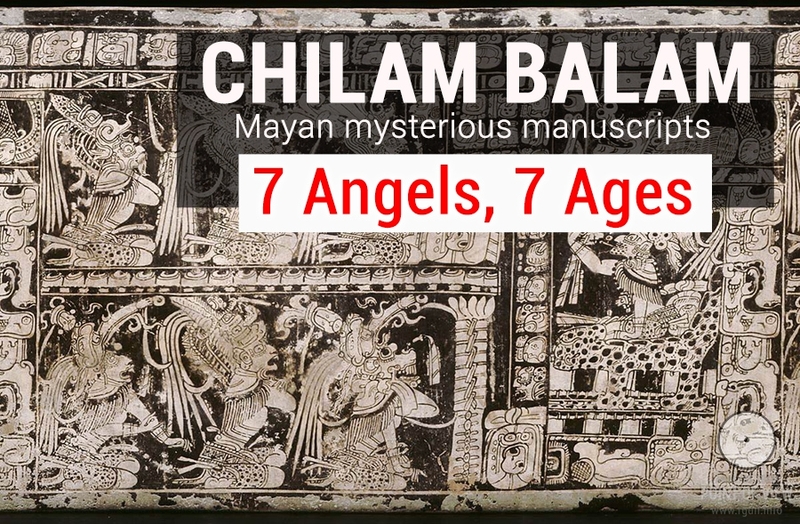 Chilam Balam is a general name of scriptures of Maya Indians who lived in Yucatán Peninsula. The handwritten miscellanies (a sort of an Indian Bible) were composed in 17-18th centuries in Yucatec Maya language in Roman alphabet (i.e. in the local language, but European script). The contents of the scriptures are diverse and clearly indicate that Indians possessed very serious knowledge. All in all, nine handwritten books have been collected and preserved until nowadays. They contain information about original Indian myths on the creation of the world, astronomic phenomena and explanation of those, medical prescriptions, historical data, and Mayan prophetic texts. A part of such texts (prophetic, in particular) are attributed to a mysterious personality, Prophet Chilam Balam who presumably lived before the Spanish colonization times; and, by the way, he predicted the Spanish conquest and further spread of a new religion among Indians. Thus, the books are named after this very person. 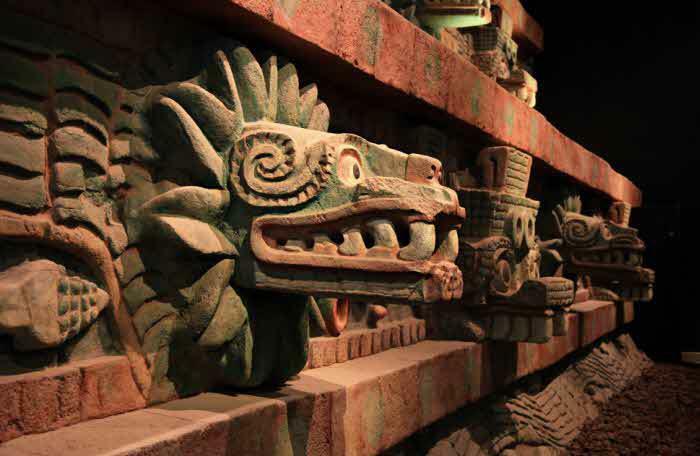 In translation from the Yucatec Maya language, Chilam Balam means "the Book of Prophet Jaguar”. The word chilam or chilan itself means “God’s Messenger”, “Oracle”, “Prophet through whose mouth God speaks”, whereas the word balam means “jaguar”. Yet, it’s also one of widespread tribal names of Yucatán Indians. 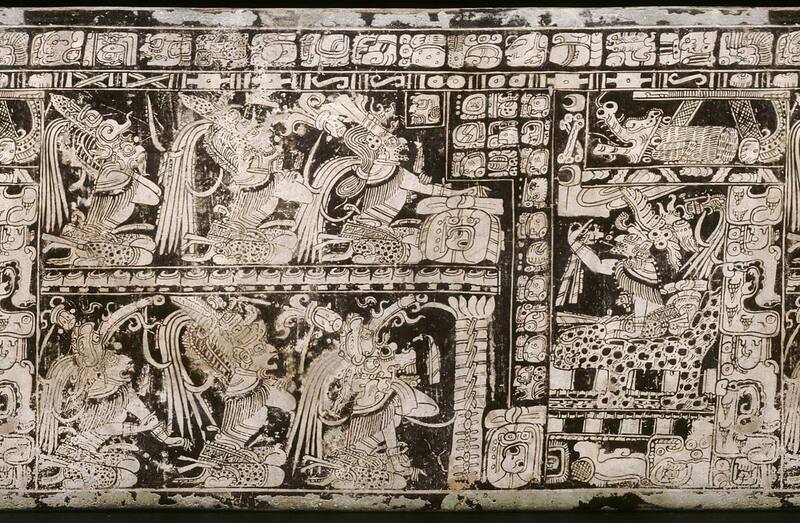 We dare assume that, following the conquest of Indian lands by the Spaniards and obtrusion of their own script and religion on local population, Mayan texts surely underwent significant changes. Foreigners, as Maya Indians called them, obliterated ancient manuscripts all over, burned books and scriptures, and mercilessly exterminated aboriginal population in order to root out the knowledge and prevent it from being transferred to future Indian generations. Therefore, there is an opinion that Mayan hieroglyphic written language was replaced by the European system of writing, and that was how Christianization was imposed. And, if we recall that many researchers consider Maya peoples one of the most ancient and mysterious civilizations, and those peoples were not bloodthirsty or underdeveloped, their habitual image begins to collapse at all, especially owing to new annoying facts that destroy the imposed stereotype. 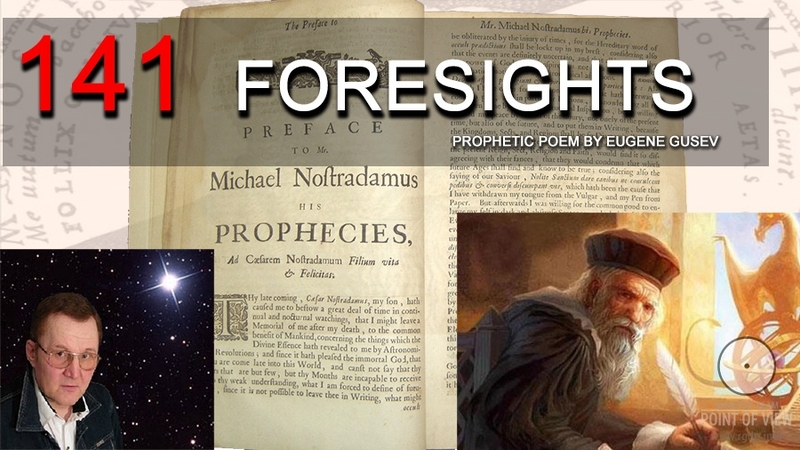 So, what prophecies do the Books of Chilam Balam convey? As the Ancients understood, 7 nights and 7 Angels (this is how they called a chain of superseding ages) approach. It is said that time after time God plunges into “endless nights” in order to “embody His Divinity” and gain “second everlasting grace” at the end of such nights. There is an opinion that all such seven nights describe a certain stage of Divine evolution. That is, when God plunges into every night, Angels are born with names meanings of which we should consider in more detail. The First Angel – Adeu ti paramih. The name could literally mean (according to studies performed by different people, despite substantial distortion of Maya language after colonization) “I Go to Colds”, “I Approach Colds”, or “the Longhaired Angel” as an alternative translation. That was exactly the ice age on the Earth, since, according to Maya calculations, every age lasts for approximately 5,200 years. Thus, the First Night started about 26,000 years ago and should have been over around 21,000 years ago. By contemporary geology data, the last stage of the ice age concurs with that very time period. The Second Angel – Al pil con. 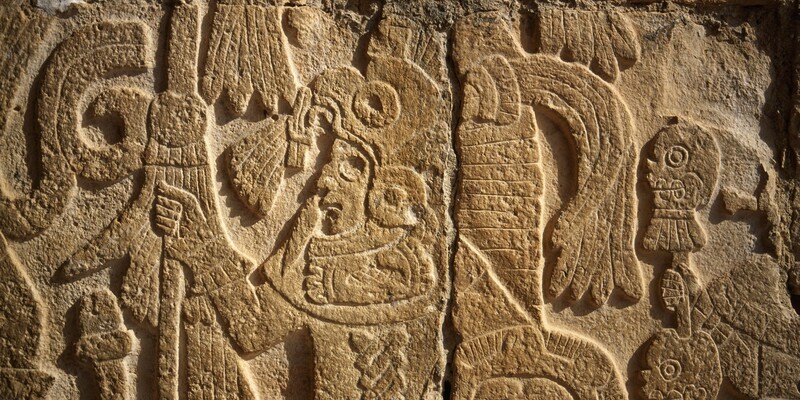 In translation from the Yucatec Maya language, this supposedly means “the Shorthaired Angel”. This age concurs with the paleolithic period. 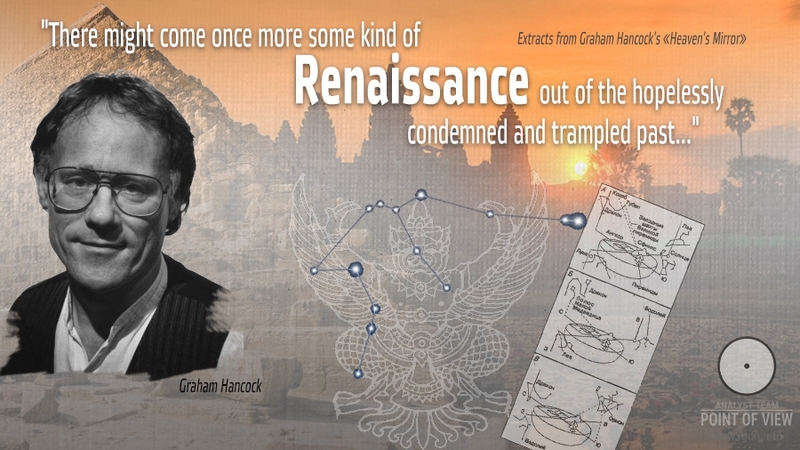 And, although an opinion has been imposed on us since long ago that in those times humans were savages, modern discoveries indicate quite the contrary: those ancient people knew much more than conventional history and archaeology textbooks tell. The Third Angel – Аlbа congel. The name is translated as “White, Light, Gentle Frost” or “Colds Weakening”. This may exactly mean warming that took place 10 thousand years ago on the Earth. The Fourth Angel – Atea Оhe. This may be translated in two versions: “the Godless Eye” or “I Saw Godlessness”. Such translation is confirmed by the fact that, once the fourth “night” was over, the awaked God addressed Himself and said: “Oh, God, the ruler! Nothing came out of it! There is no me in my selfhood, as it was contemplated!” Let’s not guess what this means and just remind that was approximately the time of the Great Flood. 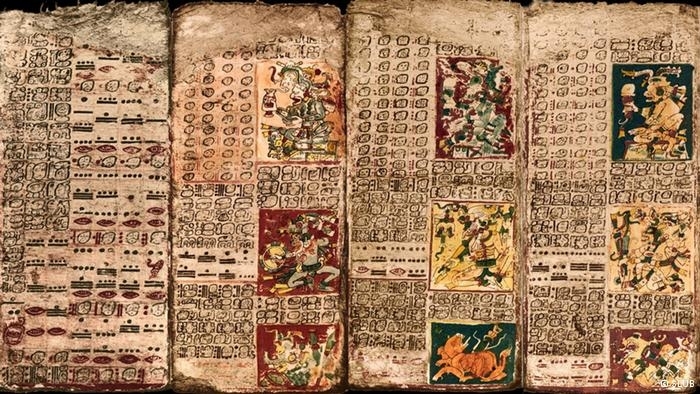 Mayan texts say on the fourth night the Divine Plan failed for some reasons. According to Maya calendar (given there were no intervals between the ages) such period should have started about 10 thousand years ago and finish around 5,000 years ago correspondingly, i.e. right before the beginning of our age in 3114 B.C. Apparently, Maya Indians knew what they were saying, especially if we recall similar information about the aforesaid natural disaster as contained in texts and myths of different peoples of the world. Then, when the Earth awaked, the Name of the Lord became known. There was one sign in the dark, one sign in the Heavens. I am the beginning, and I will be the end. Living in Unity approaches. “Then, when the Earth awaked, the Name of the Lord became known.” The Earth’s awakening may indicate, for instance, increasing cataclysms and climate change as natural cyclic astronomic processes of cosmic scale, which processes people cannot influence before the world renewal. Wasn’t this what Maya knew in terms of the end of ages? And exactly in such decisive period “the Name of the Lord became known” (as we know, God has no names, He cannot speak a dead language, but those through whom God speaks come). And the history of past millennia confirms that. Why would not this happen nowadays? “There was one sign in the dark, one sign in the Heavens.” A lunar eclipse, a comet, a new star? It’s difficult to decode. “I am the beginning, and I will be the end. Living in Unity approaches.” Here, we believe, the information is quite understandable. God creates, God completes. And further existence of humanity is possible in unity only. Existence in unity begets the beginning of life, life in unity in the spiritual world. Maya Indians considered that after the Fifth Age completion Divineness had to awake in people, and they would start regenerating into gods. At that, such Divineness awakening is just as natural process as childbirth or waking up after sleep. In view of the information provided by Rigden Djappo in relevant books, Maya were apparently aware of what they were talking about and meant merging between personality and the Soul. And, should we recall Igor Danilov’s words in the Unity programme that every Personality is a little part of the Holy Spirit, the story becomes even more interesting and exciting. 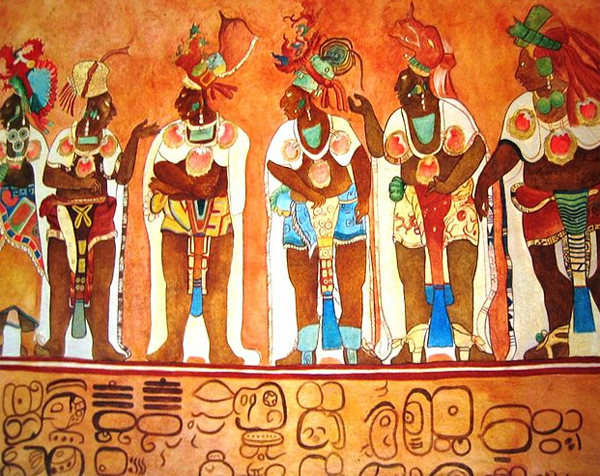 After all, everything depends on the standpoint from which Mayan knowledge is regarded. It would also be useful to refer to the following extracts from the book Year 2012. All Mayan Predictions published in 2008 (by researcher Dmitry Zima). Perhaps, the extracts will lead some readers to certain interesting conclusions. 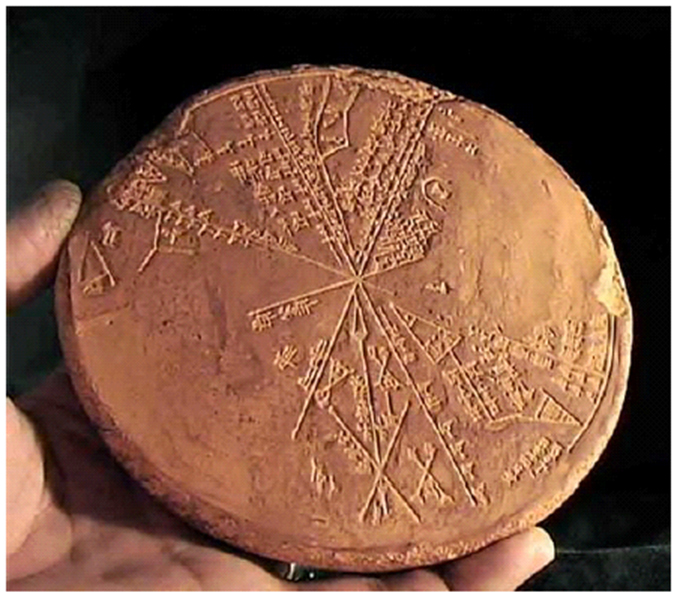 In the author’s opinion, our Fifth Sun Age that started on 11 August 3114 B.C. is coming to an end. 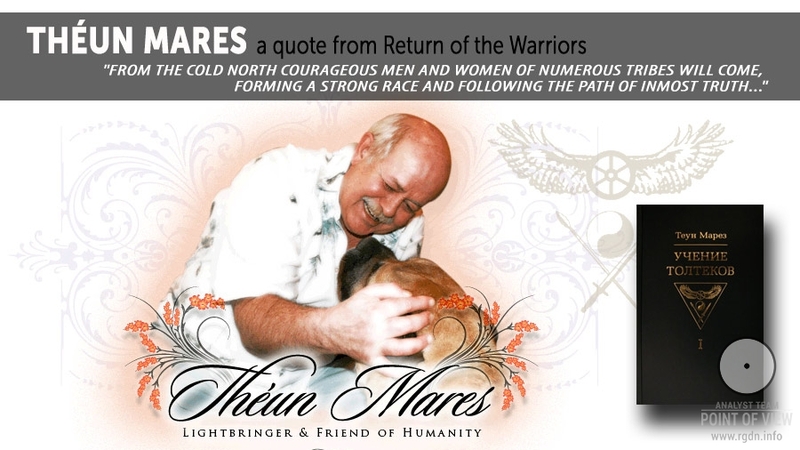 Each age lasts for 5,125 tun-years, the long night ends with the Earth awakening. 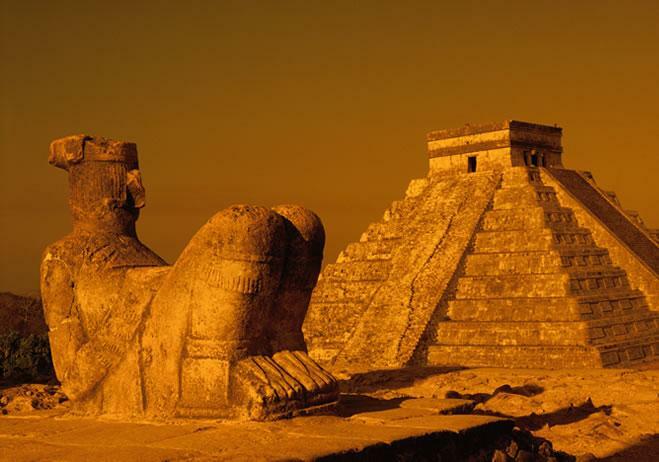 All previous ages ended with collapses, but the Fifth Age is called special in Mayan prophecies. 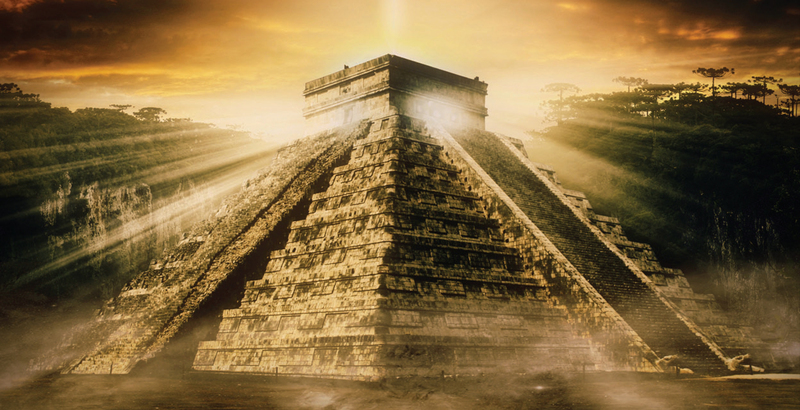 According to the book author, Maya imagined time as waves of various length, which permanently supersede each other. The overall lapse of time represents superposition of such waves. A big wave is 5,200 years = 260 20-year katuns. A short wave is 260 years = 20 13-year cycles. Small ripples on waves = 260-day cycles. It turns out CHILAM BALAM are jewels strung one after another, red stones, an image of heavenly moisture, heavenly dew. There is an interesting sacramental answer to the question: “Why did I create your jewels? Because I created you!” Does this mean time (such jewels, stones or beads strung on the thread of existence), which exists in the material world only, is given to a human being as God’s creation for some reason? At that, the book author mentions long years pass above the Earth, and their course is not quite understandable for a human being, therefore we should become aware of why this whole process was invented, and why people were created on the Earth. In Chilam Balam it is said that, although tun-stones were initially divine, they are transient, and their sanctity by all means comes to an end. They lose power when God, the Heavenly Sovereign comes. Get together, my younger brothers, and take the burden of katun (time) from elder brothers, when He comes. If you don’t take it, then, miserable, you will cry for what you’ll lose. If you don’t take it, big and small roots of the Tree will break. On that day Griffins will stand at the house entrance, plague and death will be among the forest inhabitants. It’s a big question what burden is referred to by the Prophet which we should take or become miserable if we don’t take it, and who is to come at the end of the Age. 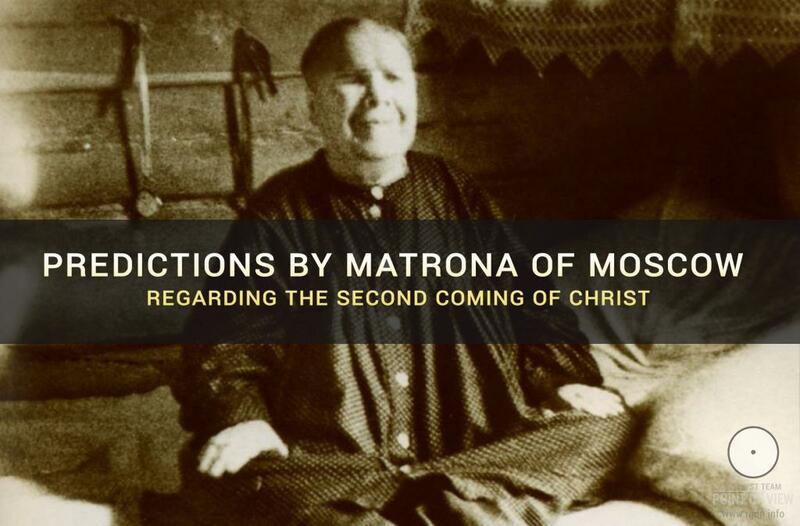 In view of the information discovered in Anastasia Novykh’s books, we can assume the Saviour’s advent is meant. Isn’t this obvious? If the law of katun terminates, then, as God established, a flood will follow and destroy this world. This way our Father, the Lord gives a sign what will take place for those who lack harmony. Too many horrible words have been collected for little children. God’s heart is aching for the babies so much. Knowledgeable must emerge among you, who will understand this. That year their way will be from Christian service. Those who understand should be sent to the forest. These are very interesting statements, not lacking sense: if nothing changes and people continue living as they live now, something global will happen. However, “knowledgeable” must emerge among people, those who will understand… and their way (possibly, “beginning” or “source”) will be from Christian service (faith). The word of god who is currently approaching us is kind; it comes on the day when we are reviving. It’s the word of god who is not frightening for the world, of the single god who created us. The word of god, the Lord, the keeper of our souls, is kind and new. Those who accept the genuine faith from heavens will follow him. Listen to the word of Single God, the Lord; what sounds on the way has come from heaven. Pluck up your spirit, there will be dawn for those who come to believe in the times of future twenty years, fathers. Most researchers think these are not Mayan original beliefs, since later on “guests from the east, bearded men” are mentioned, supposedly meaning the subsequent coming of Spanish colonizers and Christianity, and so the prophecy words might refer to that very period of Indians’ life. However, any reasonable person should understand under the flag of which “god” colonization of Maya lands took place. Thus, Maya would hardly tell about kindness and mercy of such “god”, and so we dare assume Chilam Balam told of a totally different thing, whereas distortions emerged later afterwards. In conclusion, I’d like to quote one more statement from the Book of Prophet Jaguar: “The Sun rose for the first time and was similar to a human being”. Will we be able and willing to recognize the Sun in a human being? Who really knows what the Truth and what Falsehood is in our age? Suffice it to look around in order to understand the world is holding on lies and egocentrism, and everything we used to regard as truth and put on a pedestal is now collapsing like a house of cards blown off by the wind on changes. Let’s continue our search. We are confident all this makes sense!